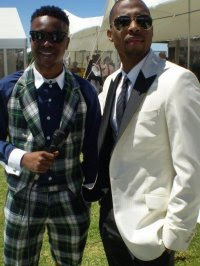 Sizwe (Siz), of MTV Africa fame, and Siya (Scoop), the fresh faced enigmatic presenter of local popular gossip programme Real Goboza (RGB), have so much international and national lifestyle experience under their belts – this is rumoured to be a show of note. Info is still under raps at the moment on content and time slot for now. So it seems that I along with a few people let the cat out of the bag too soon, but thankfully so, because more info has come to light. Lets see what the boys have for us.